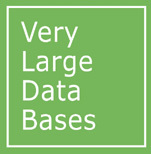 VLDB is a premier annual international forum for database researchers, vendors, practitioners, application developers, and users. VLDB 2008, the 34th conference in the series, will be held in Auckland, New Zealand. The conference will feature research talks, tutorials, demonstrations, and workshops. It will cover current issues in database and information systems research. Databases remain one of the technological cornerstones of emerging applications of the twenty-first century. New Zealand is, like its neighbour Australia, highly active in this area in both research and industry and is supported by strong international links. The VLDB delegates who will convene in downtown Auckland will experience a vibrant metropolitan area with one of the highest living standards in the world, fast-growing business activity in high-tech areas and a very rich international research culture. The affordable price level and the excellent flight connections will make New Zealand an unforgettable VLDB experience - not to mention that all this comes with the great outdoors and the easygoing lifestyle in New Zealand. The University of Auckland is looking forward to your visit.